Instant Payments — is the company working in the area of sales management. Using innovative tools in the information systems and offering creative approach in implementing your sales structure we offer you to participate in the innovative leap and implement newest technologies in working with your clients. Using our resources and skills we build sales networs for companies that experience depletion in using traditional sales channels. Instant Payments is the operator of the Kazakhtelecom payments system allowing company's clients to get access to the sales network of over than 18 000 points of sales, in the real time mode. Arising from the professional cooperation between Instant Payments and Kazakhtelecom we've managed to implement payments collection service modernization under stringent time constraints and provide Telecom's clients with the convenient and much aspired service in all Kazakh Republic regions. Instant Payments has developed and implemented the e-ticketing system Mobius. Mobius allows selling e-tickets by various sales interfaces, such as web site, self-service terminal, virtual teller etc., and due to the presence of the Mobile Conductor Terminal connected the the central Mobius server, there is an opportunity to seat a passenger not only by the ticket but also by the ID number and by automatically reading the bar code from paper or electronic medium. Developing long-term relations between Kazakhstani and Russian companies, Mobius developer has conducted successful negotiations with OJSC Vniizht, Russia, on integration of Mobius with the ASU Express passenger management system. 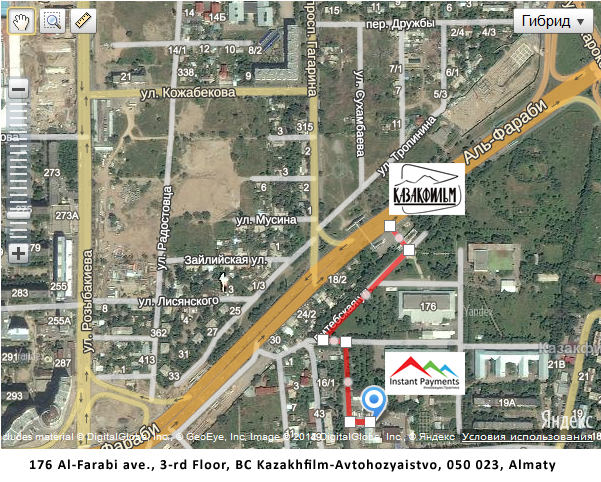 Due to that fact e-ticket system of Kazakhstan railways is integrated in passenger management system of CIS countries. - is the most modern and convenient means of solving all the issues arising from operating in the fiscally regulated areas. The System is aimed at being used in various environments with various loads. 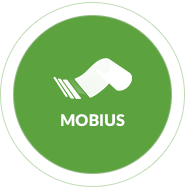 Mobius is the most reliable and proven tool for the continuous and reliable work of fiscal systems.